Coming up this week we are excited to have World Champion Fighter and Instructor Master Ermar Alexandar. Ermar 'Alex' Alexander began his Doce Pares training in 1999. Now, he travels to the Philippines to train at the Doce Pares International Headquarters in Cebu. Through the years, he progressed and eventually became a member of the WEKAF British Team - being the only Filipino until 2007. Within the 13 years of competing, he has won multitudes of Sparring and Sayaw (Forms) tournaments (2000-2013). Ironically, Alex never heard of Eskrima until one of his English friends told him that there was a Filipino martial art. 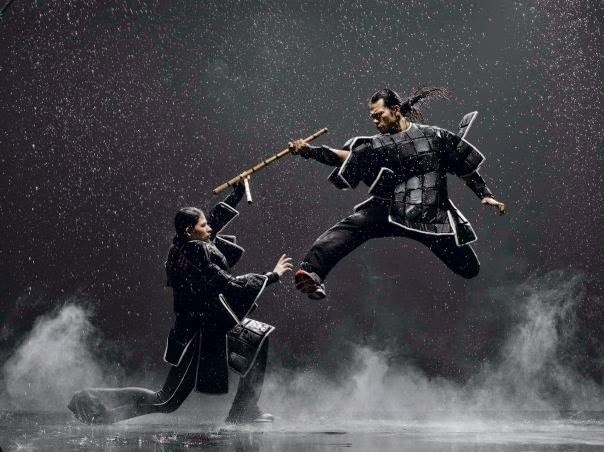 He has tried different martial art styles before, but eversince he started training in Eskrima, he was hooked and focused on Doce Pares Eskrima only. A year into his training, Alex's teacher encouraged him to compete in tournaments to further understand the art and get into the fun part of Eskrima. Alex enjoyed the adrenalin rush and looked forward to his suceeding fights. Eventually, he got the 'knack' of it and excelled in the sport, becoming a world titlist (three times!). Many have told him to quit competing while he is at his peak. But Alex isn't chasing titles. He is competing for the love of the game. Now, he is training others - his students - to get into the fun of Eskrima as well. He teaches the full aspect of the art - from sticks to knife defense to empty hands and to the most understated, Sayaw (Forms). Alex now dreams of promoting Doce Pares and Yaw-Yan ArDigma, and the Filipino martial arts, primarily among the British-Filipino community and the British/European public in general. Alex now teaches under the supervision and gracious blessing of Doce Pares Supreme Grandmaster Dionisio 'Diony' A. Cañete. On 31 July 2010, the Doce Pares GB Headquarters in Willesden Junction (NW10) was inaugurated by Philippine Embassy representatives, including previous Philippine Ambassador Hon. Antonio Lagdameo and Deputy Chief of Mission Rey Catapang; along with representatives from various Filipino communities. On 27 January 2014, Alex was promoted to 6th Degree Black Belt at the Doce Pares International Headquarters in Cebu, Philippines.